Mohammad Naserruddin, a doctor by profession, has been living a life of a fugitive for the last six years. He had raised close to Rs one crore deposits from his neighbours and friends for Rose Valley, one of the busted ponzi companies in West Bengal. As the ponzi scam, popularly known as chit fund scam, broke out in April 2013, and the company started defaulting payments, people started flocking at Naserruddin’s home, threatening and abusing him. Six years after the scam, the anger of people has not smothered. Some days, only during nights, Nasseruddin covertly sneaks into his home. Most of the days he dwells in different parts of Kolkata, frequently changing addresses. Naserruddin is not alone. His fate is shared by many more. Even as CBI investigation into the chit fund scam turns out a political slug fest, depositors are fighting a lone legal battle under the aegis of Amanatkari O Agent Suraksha Manch, an open forum for all ponzi-scheme affected people in West Bengal. According to data from the forum, nearly 250 million people are impacted by the scam, involving a sum of Rs 2 trillion. 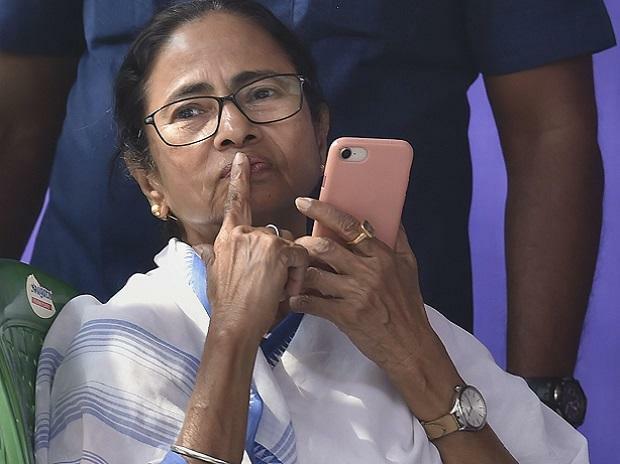 Early February, a CBI team had reached the residence of former Kolkata Police Commissioner Rajeev Kumar in relation the scam, when Bengal chief minister Mamata Banerjee openly came out to salvage Kumar and raised a dharna against the Centre. While Banerjee has been blaming the former Left Front government for the scam, BJP’s campaign in the state revolves around the involvement of TMC leaders in the scam. On a Tuesday afternoon, just as poll campaign is coming to a close ahead of the first phase of election in parts of West Bengal, close to 500 people have assembled outside the Calcutta High Court. A divisional bench is hearing issues related to role of Enforcement Directorate in returning money to the depositors and the relevance of recently enacted Banning of Unregulated Deposit Scheme Ordinance, 2019 in the scam. Only a handful of people could enter the courtroom, as it runs out of space. Rest squatter outside and many more wait on roads for a lawyer to brief them. Many have travelled overnight and some started before daybreak to be at court premises by 3 PM, when the hearing started. Every month, at least three to four times a month, they assemble outside the court to update themselves about the latest legal status of the process of return of money. Jayanti Haldar, a housewife from Nadia who has been bearing the ire of her family members and neighbors for defaulting over Rs 40 lakh, is not much familiar with agencies like Sebi, ED and legal acts involving illegal deposit schemes which are frequently discussed in the court. Yet she attends each hearing. “It has been a hell at home,” she sums up her ordeal over the last six years. The depositors believe that neither the state, nor the Centre is bothered about returning money to the depositors. Instead, their interference in court is delaying the matter, says Tarak Sarkar, secretary, Amanatkari O Agent Suraksha Manch. “We have been dying a silent death for the last six years. Neither the Centre nor the state is helping us, rather they are coming up with new ways to create stumbling block for return of money,” says Binay Kumar Ray, who has been running his family by conducting tuition classes, earning a paltry Rs 3000 per month. He lost his own savings of Rs 10 lakh, and another 25 lakh of his clients. Rakesh Haldar has resorted to daily labourer work to earn a living since 2013. He owns close to Rs 80 lakh to people, with his own personal savings of Rs 15 lakh at stake. However, more painful is the daily harassment faced by people who own the money, he says. Sheikh Jamalludin, who has a family of six to run is now working as a roadside hawker after he lost Rs 15 lakh to Prayag Group of companies. As the politics surrounding the scam have heightened around elections, cases of close to 143 companies are to meet logical end of money disbursement through sale of assets of the firms. So far, only about 48 are referred to the specific committee in-charge of the disbursement mechanism. It was back in April 2013, when the Sarada Scam broke, the chit fund depositors moved Supreme Court against three companies—Sarada, Pailan and Alchemist. The court ordered a CBI probe into the matter. Subsequently as other companies started defaulting, the depositors again moved Supreme Court for return of money. The apex court directed the depositors to High Court. Meanwhile, the West Bengal government formed Shyamal Sen Committee to look into the Sarada case. However, as other Ponzi companies went bust one after another, more and more depositors started queuing in the commission. The state government imposed a sin tax to raise Rs 500 crore to be disbursed among the victims. According to Tarak Sarkar, secretary of the Amanatkari O Agent Suraksha Manch, only Rs 251 crore was disbursed, and out of which cheques worth Rs 102 crore went on wrong addresses. In November 2014, the government wrapped up committee as government realized that it was beyond its purview of return money dealt between private firms and individuals. The depositors’ forum them moved High Court as suggested by SC. The Calcutta High Court created a special bench to look into the matter. The bench directed the creation of two sets of committee—one for returning money to the depositors of Rose Valley and another for rest of the companies. According to Sarkar, Alcemist has the biggest share in the scam with close to Rs 70000 crore, followed by Rose Valley at Rs 35000 crore and KWIL at Rs 12000 crore. The size of Sarada scam is pegged at around Rs 3000 crore. “What is the use of voting when politicians are concerned about our lives, savings and safety,” says Dilip Das, who lost Rs 15 lakh in the scam. As voting begins for the first phase of elections in West Bengal, millions of chit fund scam impacted people have a tough choice to make, as they feel betrayed by politicians across parties.